Team AGC (Ask Gina & Company) at Pearson Smith Realty is thrilled to announce that Gina Tufano was nominated and featured in the July 2018 Nationwide and International Edition of Top Agent Magazine. As a highly respected REALTOR® in Loudoun County, Gina has been a licensed and practicing agent in the Northern Virginia area for over twenty-two years. With a high-energy personality and a genuine care for others, Gina and her team work hard to establish close relationships with their customers. It is in these conversations where lifelong clients turn into friends and become part of the Team AGC family as demonstrated in our high rate of repeat and referral based clientele. 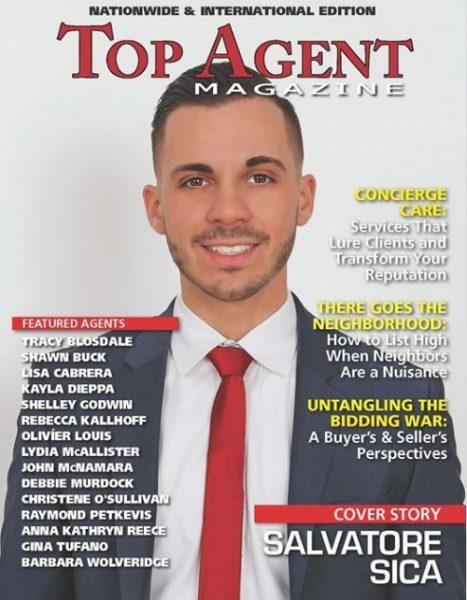 Be sure to check out Top Agent Magazine’s Interview with NOVA’s own Gina Tufano. Looking for a real estate agent that will focus on your goals and make sure your needs are met? Call Team AGC today at 703-574-3478.